Interestingly enough, this seems to be a problem to at least two other people during the month of March 2018. I have this same problem. My p51s just all of a sudden stopped detecting the storage drive. I opened the case to find that the SATA connector wasn't even connected to the motherboard. The connector that should hold the sata cable is just completely detached. And the piece that was within that connector is out of place as well. This person's laptop seems to have a strong solder, which I don't believe mine did. Please advise how I can get this repaired, get a new computer, or just give me my money back. I've used Lenovo for ~10 years and have never had problems like this. I need this computer to work. your picture looks like a defective solder connection. To me, that looks like a manufacturing problem. The first link referenced a failed ribbon cable wihch is usually is usually a pinch connector damaged during an upgrade. (your picture is is not a ribbon and doesn't use a pinch connector.) The other link wasn't clear what was happenning so I asked for a picture. How can I get such a defect validated by Lenovo? And repaired? I really like this machine, and ideally would love to keep it. This Agreement does not apply to Lenovo Servers, Storage and Phone products. (viii) any pre-existing defects in your product that occurred on or before the date of this Agreement. I fail to find any of these that apply to my situation. The PC was working fine, unopened, and I started experiencing symptoms of hard drive failure, then the pc stopped detecting the storage drive altogether. Because aside from the manufacture defect in the SATA mobo port, the laptop is in pristine condition. Did you get this resolved? I am having the exact same issue, $704 motherboard replacement quote deemed accidental damage. Laptop is 15 months old. Same problem here. We sent to a Lenovo Center, they quote new mobo around 800 + service. User of Thinkpad since R60. 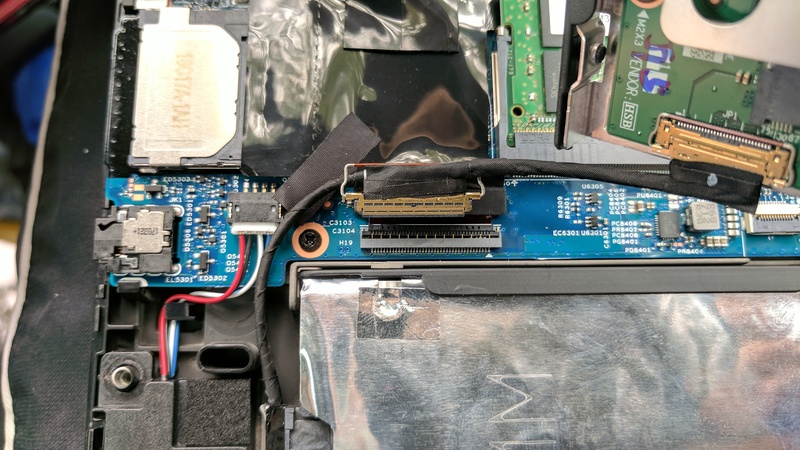 Only problem before was design change of T440s trackpad without buttons, I have a working my R61 with only upgrade to SSD SATA as spare at home. I ordered a new P52. Hope it doesn't have same problem. Really disgusting not to get a good solution from Lenovo for a 15 months professional laptop.